Bentley has teamed up with Bang & Olufsen for breaking new ground when it comes to automotive audio. Bentley has integrated B&O’s pathbreaking BeoSonic interface as part of the new Continental GT. BeoSonic comes with a simple but intuitive one-touch user interface that motorists can use to shape the sound in the car. They thus get to experience bespoke audio that is entirely according to their tastes. Bang & Olufsen BeoSonic One-Touch Experience comes with haptic sound controls that can be adjusted through the touchscreen interface to provide motorists with four distinct audio spaces – Bright, Energetic, Warm & Relaxed. This interface is integrated into the multimedia system and has an eclipse design. Consumers can choose between the four different spaces by moving a digital white marker so that they can choose the music that best suits their current mood. The color palette behind the eclipse reflects the selected sound mode. A pinching gesture can be used to adjust the surround intensity. The system can also be optimized for passengers in the front and rear seats by using additional settings. Bentley worked closely with the Harman International audio engineering and design teams handling design of the audio systems for Bentley to further refine the Bang & Olufsen sound system for the Continental GT. The system comprises a powerful 1,500-watt BeoCore DSP amplifier and 16 active loudspeakers to produce sound of impressive quality. Another notable feature of the sound system is the iconic design of the speaker grilles which are finished in aluminum with holes drilled in variable sizes and angles and shaped to a uniquely-designed Fibonacci hole pattern. In order to achieve the best audio transparency, the angled holes are placed as tightly as possible. Visually, this also contrasts with the glass-pearl blasted surface. When the system is turned on, the LED illumination of the holes provide a welcoming atmosphere. 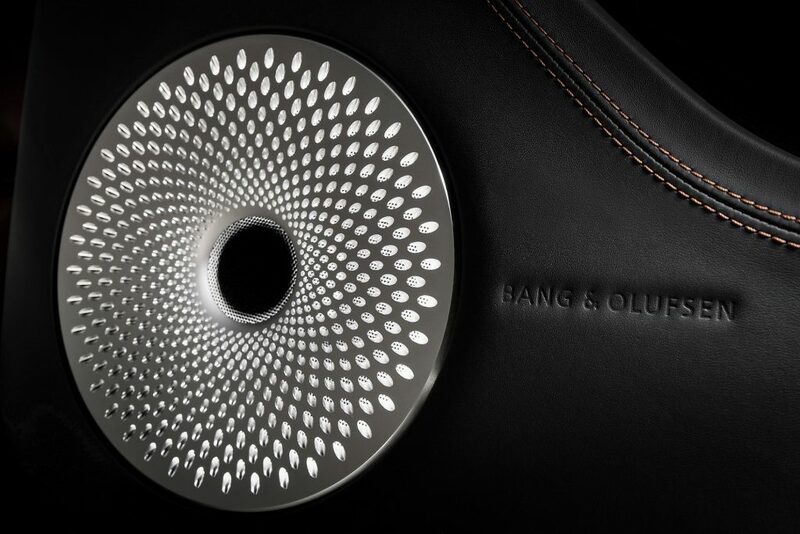 The Bang & Olufsen logo completes the unique speaker design and is debossed into the leather next to the grilles. Other features that enhance the audio experience are the laminated acoustic glass windscreen and side windows in the Continental GT, which reduce the exterior noise ingress.